Sandpoint, ID, December 18, 2015 - Black Dog Cycle Works (BDCW) announces their new BDCW Pillion Rack for BMW R1200GS and GSA Liquid-Cooled motorcycles. For solo adventure riders, a great solution for carrying more cargo is to replace the passenger seat with an integrated rack. BDCW's new rack puts the additional weight immediately behind the rider where motorcycles were originally designed to carry it, making it the ideal location. By moving the weight forward from the rear of the bike, riders should expect greatly improved balance and control. The BDCW Pillion Rack is a highly functional, rugged yet beautifully-machined product that greatly increases the carrying capacity of the Big GS. And, it works especially well with the BDCW Multi-Function Rear Rack for the GSLC or GSA-LC, but is compatible with most rear racks from other manufacturers, as well as the factory grab rails on the standard GS and GSA. 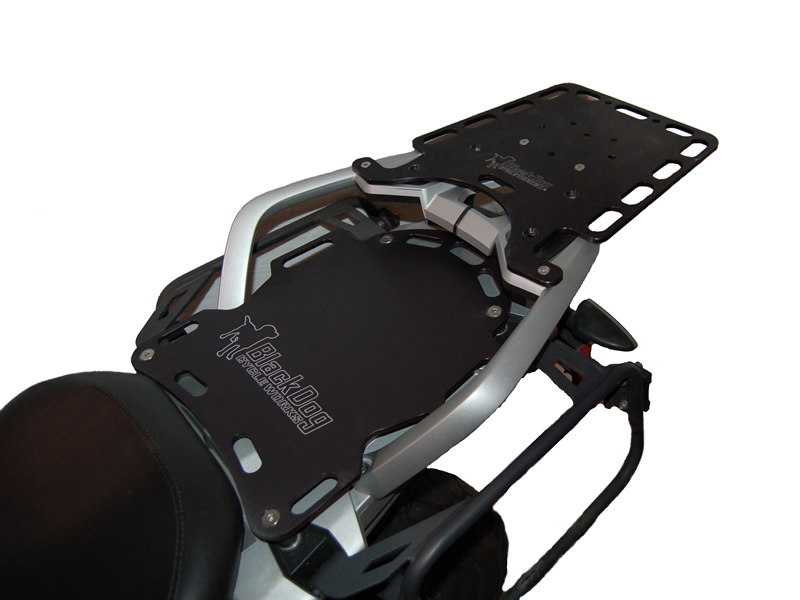 Avid adventure riders will appreciate how the BDCW Pillion Rack mounts to their bikes. "Unlike other versions on the market, we intentionally engineered our rack so that it doesn't use the mostly plastic stock keyed release system. We found that the stock release doesn't take to the off-road punishment many of our customers give their bikes. Ours bolts directly to the frame." says Kurt Forgét of BDCW. Compatible with the factory grab rails for both the standard GS and the GSA. 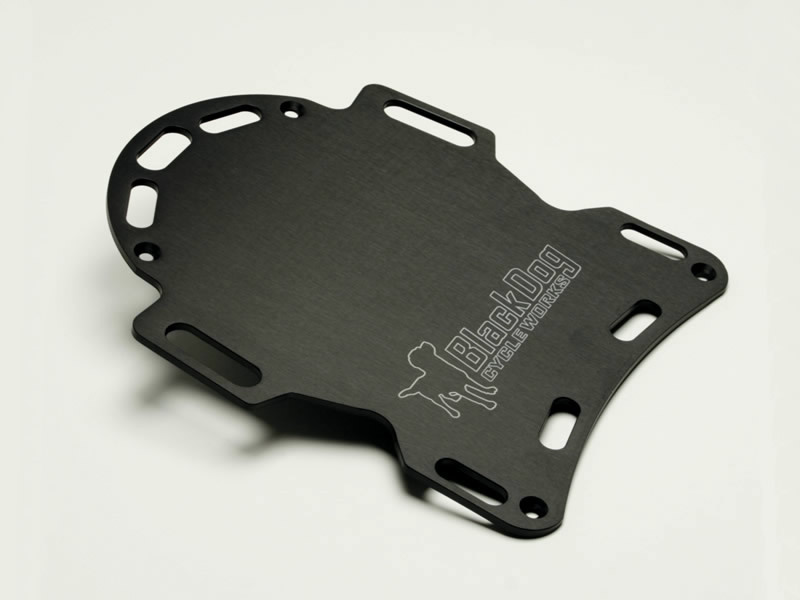 Designed, tested and manufactured in the U.S.A.
Something that is on Black Dog's website but I do not see it here, is that you have to use it in conjunction with the stock BMW rear rack if you want both, you CANNOT use it together and have a level platform. I verified this with Martha (owner), because I was looking at it as an alternative to Alt Rider, whose price went up almost $50 for their two piece system. If you want a level platform for the GSW, you have to get the "Helopad". i reckon the helopad is indeed a better option, being level, although it does condemn the pillion seat..
on my red GSA "air".